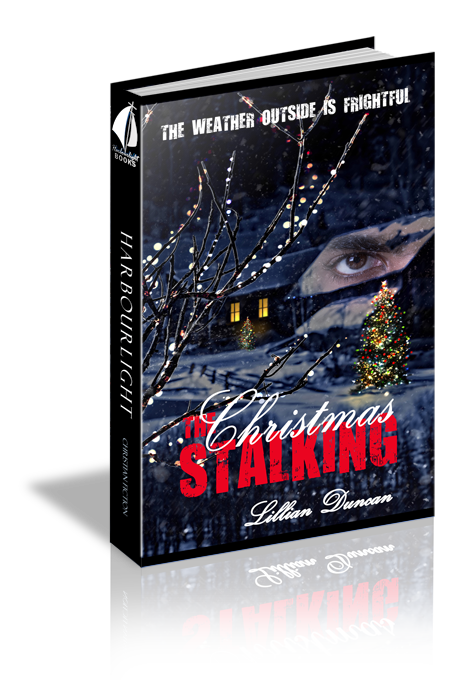 With Christmas approaching, and as the danger escalates in Nashville, Destiny has no choice but to disappear. She escapes to her grandparents’ cabin in the Adirondack Mountains near the tiny Village of Serenity & Peace. It seems to be the perfect choice for a hideout. Longing for the serenity and peace she experienced there as a child, Destiny sheds her celebrity persona and resumes her long-forgotten identity as Holly Stone. Holly Stone needed a place to hide. Well, not Holly Stone, but the persona she had become—Destiny, Nashville’s brightest country music star. Her sultry voice and trademark long, blonde hair had made her famous—her only goal in life. Unfortunately, along with the notoriety came unwelcomed attention from a stalker. Not just any run of the mill crazy, but one who mailed her a dead cat. That had been enough for her. She skirted the security team’s suggestion, attended a charity concert in her blonde wig, and then two-stepped it out of town. Now, her car’s headlights flashed on the welcoming sign for the Village of Serenity and Peace, better known by the locals as plain old Serenity. Legend said a group of monks hid behind their cowls and founded the little town in the wilds of upstate New York. What better place was there than where she’d spent so many wonderful summers with her grandparents? She could ditch the wig, hide, and celebrate Christmas. Of course, she would spend this Christmas just the way she had last year—alone. Serenity still loved to celebrate Christmas in a big way. Strings of multi-colored lights wound their way through the garland that decorated old-time light poles like antique gas lanterns. Christmas bulbs framed every window in town, adding to the festive look. A few people scurried down the streets, braving the cold, probably on their way home. Home. She wished she had a real home with real family and friends. Not just business associates. Her choices had made her rich and famous, even if she was a bit lonely at times. Especially at the holidays. Her gaze focused on the snow-covered streets. Why had she thought coming to upstate New York in December was a good idea? The stalker wouldn’t be able to find her here. Though she’d spent summers in Serenity with her grandparents, she had never listed the place in her official bio. No reason for anyone to look for her in this tiny Adirondack town. The sparkling lights dimmed as she drove to the outskirts. Slowly, she weaved her way through the darkness of the rural road. Lights from a following car glared. Her stomach lurched. Was it her stalker? Stop being ridiculous and paranoid. He couldn’t have followed her. She’d spent the past two days making sure of that. But the lights continued to shine in her rearview mirror even as she pressed her foot to the accelerator. She didn’t want to take the chance of leading a psychopath to her remote cabin. A blue and red light show flashed on the snow bank. Great. Just what she needed. But a ticket was better than being followed by a stalker. She squinted at the flashing police lights as she pulled the car beside piles of packed snow. She hit the button and the window moved down. A gust of icy wind froze her flirtatious smile into a grimace. She stared up at the officer. No expression. No smile. All business. Here came a ticket. Yikes. That was Destiny talking, not Holly Stone. “Oh, nothing, Officer. Sorry. Hold on.” She pulled out the rental agreement and her license and handed them to the officer, glad she’d taken the time to get a license in her real name, with her natural hair color. He stared down at her for a moment—almost a glare. Then his blue eyes twinkled and a hint of a smile played across his lips. “My, my, my. It couldn’t really be the little Holly Stone I used to play tag with in the woods, but she did have red hair and a temper to match. Just like you.” The voice held a familiar taunt. Holly looked closely at the man. His vibrant blue eyes contrasted against his tanned skin and curly black locks. “Sounds like a plan.” An old friend who still remembered her would break the monotony of being stuck in a cabin while her security team and the FBI hunted for the stalker. Robby followed as she drove down the dark country roads. Who would have thought chubby little Robby would turn into such a hunk? Who was she kidding? A guy that good-looking had to be married. After her father died, her mother had gone back to work, so in the summers, Holly would come to the cabin to be spoiled by her grandparents. She ran through the woods with the other neighborhood kids and biked to town for treats. Pulling into the drive, she stared. Her grandparents’ cabin looked different than she remembered. Maybe this wasn’t such a good idea. Isolated in a country cabin in the middle of winter? She’d stay a day or two, and if it was unbearable, she’d leave for warmer climates. But for now, no one knew where she was and that meant the stalker couldn’t find her. Holly pulled up to the cabin and when Robby flashed his lights, she waved him on. She tugged her shawl over her shoulders and hurried to the cabin. Her little shawl was no match for the frigid, icy winds. With half-frozen fingers, she fumbled with the door key. Once inside she built a blazing fire in the cabin’s fireplace. The crackling warmth filled the cabin. Holly allowed the tension to drain from her.